метода сформулирован алгоритм интегрирования переменного шага. Приведены результаты расчетов, подтверждающие эффективность нового алгоритма. Ключевые слова: неявная система, метод Розенброка, контроль точности. differential-algebraic problems. Springer-Verlag: Berlin, 1996, 614 p.
on Scientifi c and Statistical Computing. 1988, Vol. 9, no. 1, pp. 39–47. projector based analysis. 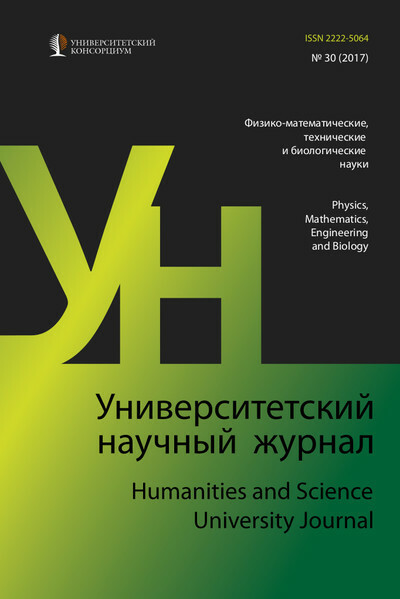 Springer: Berlin–Heidelberg, 2013, 649 p.
metody resheniia singuliarnykh system [Numerical methods for solving singular systems]. Novosibirsk: Nauka, 1989, 223 p.
of Computional and Nonlinear Dynamics. 2015, Vol. 11, no. 4, pp. 044501–044501. differential equations. Elsevier Science Ltd: North-Holland, 1984, 332 p.
Analysis and Optimization. Springer Proceedings in Mathematics and Statistics. 13. Butcher, J.C. Numerical methods for ordinary differential equations, 3rd edition. United Kingdom: John Wiley and Sons, Ltd., 2016, 509 p.
of Bari: Department of Mathematics, 2003, 295 p.